We believe that our team’s diversity of thought and experience brings a deeper, richer perspective to every conversation we have. It also means there is very little in the way of financial issues that someone on our team hasn’t seen or dealt with before. We take the time to get to know you beyond your financial concerns. Working in concert with your other trusted advisors, we build strategies and appropriate solutions to achieve your personal definition of financial success. This approach allows us to establish deep and lasting relationships, to deliver hands-on, high-end service and seek to generate consistently reliable outcomes that are uniquely tailored to you. We are committed to building relationships of mutual trust and respect that enrich the lives of our clients and our community. If you’re thinking about switching Financial Advisors… if you aren’t getting calls on a regular basis or have questions that aren’t being answered… if you, or your friends and family need financial advice or have any financial questions… here’s why you want to work with us – The Relationship Group at Morgan Stanley takes the time to get to know YOU. We take care of you, we listen to you, we keep you on track. Every day we work with clients that are a joy to be with, changing and improving their lives. Finance doesn’t have to be serious all the time. It can be about joy, security and confidence. We know that you’re smart and busy, so we’ll work with you to set up a process that works for you and that includes a constant stream of fun and philanthropic events for you to enjoy. In addition, we present all of our clients with engaging and educational events during the year that are meaningful. We provide opportunities for diverse groups to share common experiences, hear new perspectives and understand each other better. Wealth brings a different set of responsibilities and challenges. Often, there is an expectation that the successful person should take care of those around them. At times, there can be pressure to give to causes without having a solid plan or reason for the donation. Setting spending goals can seem superfluous when any item or service you want to purchase is attainable. And the legacy you leave can have a significant impact on family or important causes. 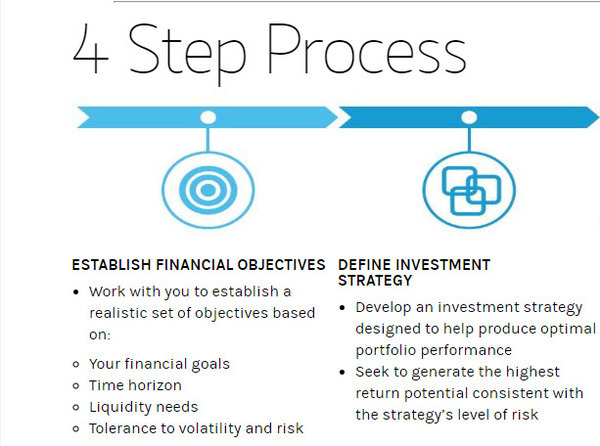 Dealing effectively with these wealth-related issues is crucial for an investor’s well being. We use a relationship-focused approach to understand your particular goals and concerns and then help you sort through the issues that naturally accompany wealth. 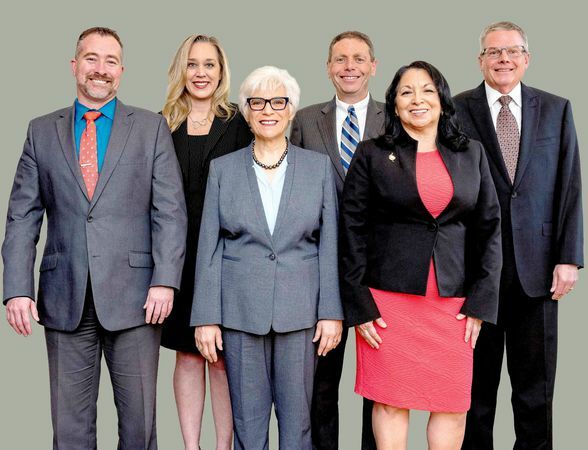 We work with a diverse group of clients that include accomplished women, successful men, multigenerational families, LGBT individuals and families, physicians, non-profits, foundations and family trusts. Each of those clients will tell you that they receive personal care from us, that we celebrate all the joys and sorrows of life together with them, and that we ensure their needs are understood and cared for. We also pride ourselves on working seamlessly with our clients’ accountants, attorneys and other advisors. We draw on our many years of experience to provide perspective and solve problems that may seem unusual or unique. Some of the issues with which we work with outside advisors include minimizing tax obligations, ensuring portfolios are aligned with estate plans and providing key investment advice during times of change and transition. 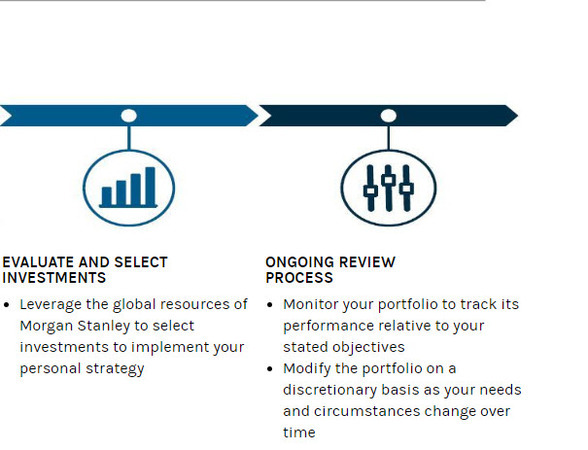 In addition, we partner with our institutional colleagues to bring the depth and breadth of Morgan Stanley's resources to go beyond simply investment advice. Our team has more than 60 years of combined financial industry experience and credentials in the areas of financial planning, family wealth planning, portfolio construction and management. But, we have a bigger impact on our individual and family clients than just managing their investments. We actively cultivate client relationships based on mutual respect and trust so that we can help ensure that all aspects of a client’s life, values and priorities are embedded in every major decision they make. Almost more than any other activity, charitable involvement shines a light on our values and priorities. While we help our clients daily with strategic giving plans, we also think it’s important to be transparent with our own involvement in causes and organizations that have meaning to us. David W. Schrager: Recipient of the Presidential Volunteerism Award ; Member of the Palm Springs Masonic Lodge; Instructor at the Perris Valley Skydiving School; Member of a nationally recognized skydiving team. Janet R. Malachowsky: Member of Desert Estate Planning Council; Desert Alliance of Professional Women; Association of Fund Raising Professionals - Desert Communities Chapter; Desert Business Association; Palm Springs Regional Association of Realtors; Leadership Coachella Valley Class of 2016; Leadership Coachella Valley Alumni Association, Palm Springs Pride Spirit of Pride 2015. Kerry R. Hendrix: Board President of Sanctuary Palm Springs; Palm Springs Pride Spirit of Pride 2017; Visiting Nurses Association; Desert AIDS Project; former Executive Director of the Desert Business Association; Jewish Family Services; Palm Springs International Film Festival; Leadership Coachella Valley Class of 2010. 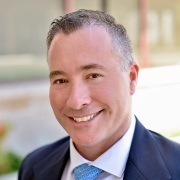 David W. Schrager’s professional credentials demonstrate a deep, holistic level of investment knowledge, a disciplined approach and an ability to create and monitor customized portfolios and investment strategies. As a CERTIFIED FINANCIAL PLANNER™ (CFP®), David possesses in-depth knowledge of the financial planning process, tax planning strategies, employee benefits, retirement planning, estate planning strategies, investment management and insurance. He is CERTIFIED PORTFOLIO MANAGER (CPM(R)) and Senior Portfolio Manager – an elite designation that allows him to develop and manage the Group’s overall investment strategy, while carefully monitoring and communicating about every aspect of the process that impacts client portfolios. David is a native of the Coachella Valley. He joined The Private Bank at Wells Fargo as a Financial Advisor in 1993 where he managed money for the Bank’s wealthiest clients. He returned to the California University system to obtain a Financial Planning Degree from UC Riverside in 2000. David attended the College for Financial Planning and, in January of 2007, he received his CFP® designation. In November, 2016, he earned the Certified Portfolio Manager (CPM®) title from the Academy of Certified Portfolio Managers (ACPM), after completing extensive coursework and examination, followed by a five-day seminar at Columbia University's School of Applied Science and Engineering. David is among over 350 individuals who attained this certification, establishing himself as a forerunner in portfolio management. 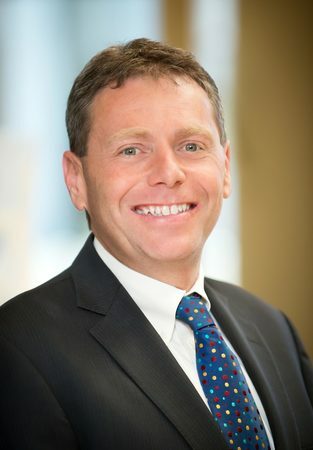 David joined Morgan Stanley in 2012. Outside of work, David is a recipient of the Presidential Volunteerism Award and a member of the Palm Springs Masonic Lodge. David is an instructor at the Perris Valley Skydiving School, a member of a nationally recognized skydiving team, and has been part of a group that set a world record for Large Formation Skydiving on 10/10/15. David currently lives in Palm Desert with his wife. 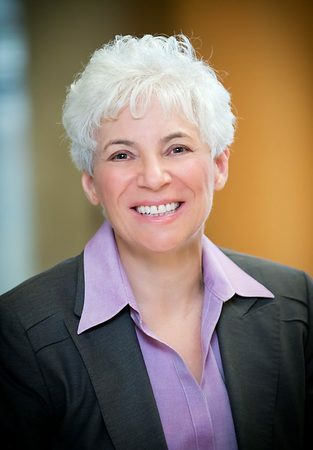 Janet Malachowsky is Vice President, Senior Portfolio Manager, Financial Advisor and Financial Planning Specialist with The Relationship Group at Morgan Stanley. Her role is to oversee the insurance, banking and lending needs for their clientele. She helps them achieve financial success through solid planning and wealth strategies, while educating and motivating them to choose alternatives they might not have considered. Janet's financial services career spans 30 years. In financial printing, Janet interfaced with investment bankers, attorneys, CPAs and firm executives producing registration statements and compliance documents. As a bank loan officer and mortgage wholesale representative, Janet focused on clients' real estate and business transactions. Now, she brings her first-hand knowledge of a wide range of financial instruments into the wealth planning process. Janet grew up in the Catskills (NY), briefly studied astrophysics at Barnard College and earned her B.S. degree in Management and minor in Economics from Rutgers University in Newark, NJ. She relocated to Palo Alto, CA in 1999, and moved near Palm Springs in 2001. Janet’s community involvement includes membership in: Desert Estate Planning Council, Desert Alliance of Professional Women; Association of Fundraising Professionals – Desert Communities Chapter; Desert Business Association, Palm Springs Pride and the Palm Springs Regional Association of Realtors. She is a member of Leadership Coachella Valley Class of 2016, as well as recipient of the 2015 Palm Springs Pride - Spirit of Pride award. Janet is a 2016 and 2018 recipient of the Five Star Wealth Management Award. Janet was named one of the 80 OUTstanding Voice from Palm Springs for 2018. She and her wife of 41 years have two dogs. Kerry Hendrix is a Financial Advisor with The Relationship Group at Morgan Stanley. Kerry has worked in the financial industry for 10 years. He engages with his clients from a planning prospective to create their financial roadmap so they accomplish their goals in their timeframe. Education, Direction, Guidance, and Experience is the E.D.G.E. that clients receive from The Relationship Group at Morgan Stanley. Kerry has a 15 year background in human resources in the areas of banking, lending, investments, and healthcare. Kerry has also spent time in public relations, marketing, and advertising, and for four years has served as the first Executive Director and business leader for the Desert Business Association in Palm Springs. Kerry is a Desert Storm Veteran who served in the Air Force in the United States and Okinawa, Japan from 1988 to 1992. While mostly studying abroad, he completed his AA degree at San Francisco City College in 1994. Kerry is very active in the desert community and received the Spirit of Pride award in 2017 from Greater Palm Springs Pride. He received recognition as one of the OUTstanding Voices of Palm Springs for 2018. Presently he serves on 3 boards for non-profits and organizations. He has worked on the Gala committees with Palm Springs Pride and Visiting Nurses Association. Kerry volunteers with Gay4Good, Jewish Family Services, Variety Children’s Charity of the Desert, and is a graduate of Leadership Coachella Valley Class of 2010. Kerry also received the Ambassador of the Year from the Palm Springs Chamber of Commerce in 2007-08. He enjoys networking, community events, hiking, and time at home with his partner and 3 dogs. Tom is a Senior Vice President and has been with Morgan Stanley* and it’s predecessor firms in Indian Wells, CA since 1983, serving his entire career of 33 years with the same firm. Tom is a graduate of UC Riverside, where he completed the PFP program for financial planning. 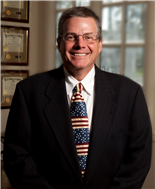 He is a multi-year member of the exclusive Director’s, Chairman’s and President’s Club. Tom has lived in the Coachella Valley since 1963, is married with 3 children and 3 grandchildren, and lives in Palm Desert, CA. 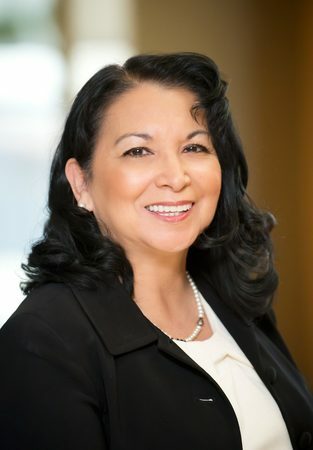 Debra began her financial career in 1999, at UBS Paine Webber, in Indian Wells, CA, as a Client Service Associate for the branchs largest producing Financial Advisor. Debra was subsequently recruited by Morgan Stanley in 2001, to work for branch operations. She was the assistant to the Branch Operations Manager for five years. Thereafter, Debra assisted as many as six Financial Advisors at any one time. Debra has a great responsibility connecting and guiding our clients while we all work together with their attorneys, accountants, and other outside professionals. She provides personal, high-touch administrative and client support with those whom we engage. Outside of work, Debra is a member of the American Legion Auxiliary Unit 0519, Palm Springs, CA. She is a Notary Public-California, Riverside County and member of the National Notary Association. Debra enjoys listening to music, dancing with her husband, Rafael, and spending time with their eight children and 12 grandchildren. Ready to start a conversation? Contact The Relationship Group today.